China says it wants to develop the islands it controls in the South China Sea and is looking for private investment to help bring the plan to fruition. 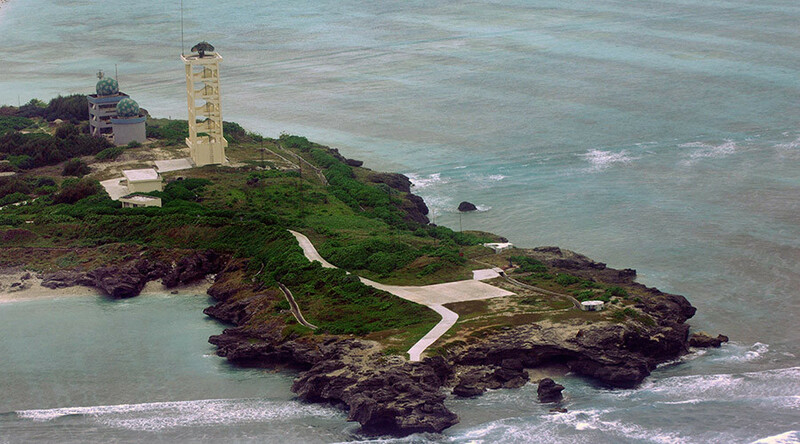 Regular flights will depart for the sparsely populated Sansha city this year, which is part of the Paracel Islands. The deputy mayor of Sansha, Feng Wenhai says they will welcome private investment and "will initiate public-private-partnership programs," according to Xinhua. Sansha city on Woody (or Yongxing) Island, only has a population of a few thousand people and was built in 2012 in order to help Beijing govern the islands in the region. At present its infrastructure boasts a bank, a library, a hospital and a supermarket. However, China hopes to boost tourist numbers by introducing regular civilian flights. On Friday, the Chinese media showed pictures of what it said were the first tourists to arrive by plane on Fiery Cross Reef. "Everyone rapturously looked around at the island's beautiful scenery," read a caption underneath one of the pictures carried on the website of Chinese news portal Sina, as cited by Reuters, showing members of the public standing on the tarmac in front of two civilian aircraft. The Paracel Islands have been opened up to tourism before, as China announced in 2013 that cruise ships would dock in the region. The Paracels - made up of about 40 islets, outcrops and reefs – are claimed by China, Vietnam and Taiwan. 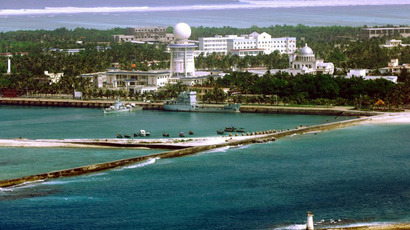 Since a brief 1974 war with Vietnam, the group of islands has been occupied by China and is currently under the administration of Hainan Province. Over the last few years, the US has been keen to team up with regional allies to test China’s response regarding the disputed islands in the region, which have included fly-bys by B-52 strategic bombers, along with many US-led naval drills. In December, 2015, Singapore allowed US P-8 Poseidon spy aircraft to use its territory for reconnaissance flights over the South China Sea. As part of a show of strength to Washington, China announced in December, 2015, it intends to beef up its maritime presence by building a second aircraft carrier. "China has a long coastline and a vast maritime area under our jurisdiction. To safeguard our maritime sovereignty, interests and rights is the sacred mission of the Chinese armed forces," a spokesman for the Defense Ministry, Yang Yujun said. The South China Sea is believed to have massive deposits of oil and gas, while around $5 trillion of shipping trade passes through the area per year.